This anomaly rarely occurs without one or more other congenital heart defects also being present. Accordingly, the symptoms, treatment, and outlook are quite variable. Most patients will have a ventricular septal defect (VSD) and/or pulmonary stenosis, and tricuspid valve abnormalities and conduction problems are also common. Some patients with a large VSD and no pulmonary stenosis will have excessive blood flow to the lungs, while other patients with a VSD and pulmonary stenosis will have restricted blood flow to the lungs and will develop cyanosis (blueness caused by oxygen poor arterial blood). Other symptoms that may arise in L-TGA patients include ventricular dysfunction, regurgitation of the tricuspid valve, arrhythmias, heart block, congestive heart failure, heart palpitations, breathlessness during exercise (dyspnea), fatigue, and/or fainting spells (syncope). Uncommonly, a patient with L-TGA will be without symptoms and not be diagnosed until late in life. Generally speaking, the more severe the associated defects, the earlier the condition will be recognized. Diagnosis will be based on several tests, beginning with a physical examination. A heart murmur may be present because of the associated defect(s). Examination will also involve an electrocardiogram (ECG), chest x-ray, MRI (Magnetic Resonance Imaging), and echocardiogram. The ECG will be distinctive and allow a definite diagnosis to be made. The other tests will help to determine the size and number of any associated defects, such as a VSD or pulmonary stenosis, and the details of the heart's performance. In some cases, for example when surgical repair is being contemplated or when a previous repair is being evaluated, a cardiac catheterization procedure may be performed. This will allow the determination of the internal heart anatomy and hemodynamic situation (blood pressures and concentration of oxygen and other gases within the heart). It sometimes happens that a patient without childhood symptoms will develop ventricular and/or tricuspid valve dysfunction in adulthood. This may occur because the tricuspid valve and the transposed ventricle are responsible for moving the blood to the body tissues in L-TGA - a strenuous task for which they are not designed. Eventually, they may begin to show signs of deterioration. Treatment for these patients often involves the repair or replacement of the tricuspid valve. The outlook is better if this is done before ventricular dysfunction has developed. If this is not possible, then medicines are prescribed to minimize symptoms. In some cases, a complicated surgical procedure, known as a "double-switch operation" may be performed. A cardiac transplant may be necessary in severe cases. Some L-TGA patients will have a repair operation in which a conduit is inserted, for example, between the left ventricle and the pulmonary artery. This conduit may become obstructed over time, sometimes resulting in a noticeable decrease in tolerance for exercise. A narrowed conduit may need to be replaced or enlarged, sometimes achieved by the placement of a stent during a cardiac catheterization procedure. Patients who received a conduit with a pig's valve may expect to need a replacement operation after about 10 years. Individuals with L-TGA should be carefully monitored throughout life to guard against the development of new symptoms, especially those involving the function of the tricuspid valve and functional left ventricle and the heart's conduction system. 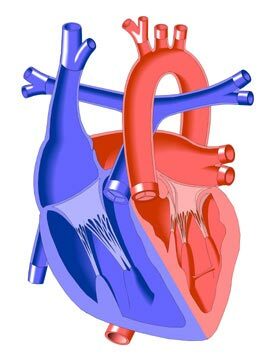 Nearly all patients with L-Type Transposition of the Great Arteries will be prescribed antibiotics to guard against endocarditis (infection of the heart's internal lining).